On Wednesday, October 24, 2012, on vacation in Portland, Oregon, Mike Czuk joined his Lord and Savior in heaven. Mike was a sinner, though saved by grace and redeemed to proudly carry the love of God to all he met. He was energetic, enthusiastic, and an incredibly hard worker. He tackled all of his endeavors with pride: as a paperboy on the streets of Kalamazoo at age 9, as a U.S. Marine, as a tool and die maker for General Motors, as a beloved husband and father, and most of all, as a passionate Christ follower. Rarely seeking a moment to rest, his activities were numerous. Mike loved to hunt, fish, and volunteer at church. Most of all, however, he enjoyed investing in the lives of those he brushed up against. He enjoyed providing charity to the broken and needy of surrounding cities (Plainwell, Otsego, and Kalamazoo). He arduously loved his children and grandchildren. Their greatest fan, he cheered for them all with fervor through their sports, activities, and life events without fail. His presence, his voice calling from the bleachers of the lives of each of those who were blessed to experience his love, will be ever-present in our minds, our hearts, and our souls. Mike was born in Kalamazoo on February 5, 1942, of Walter and Dorothy (Wiedmayer) Czuk. On October 21, 1967, in Doster he married Barbara Bourdo, whom he loved deeply and provided for in every way possible. The couple settled near Plainwell, Michigan and invested with their whole heart into the lives of their three children. Remaining to carry on his legacy are: his wife Barbara Czuk; daughter Melissa and Jeff Henckel of Kalamazoo, son Timothy and Anna Czuk of Portland, OR and daughter Renae and Josh Kane of Macomb; 7 grandchildren, including: Carson & Cayden Henckel, Eliana, Kaspar & Acacia Czuk, and Ella & Emmett Kane; his siblings, Eric Czuk of Kalamazoo and Paul (Diane) Czuk of Vicksburg; his mother-in-law, Dorothy Bourdo “Queen of” Orangeville, brothers-in-law, sisters-in-law, several cousins, nieces and nephews, and many, many friends. His parents, Dorothy Moore and Walter Czuk, preceded him in death. Friends may meet with his family from 5 to 8 P.M. Thursday at the Winkel Funeral Home, Otsego. Funeral services will be held at 11:00 A.M. Friday, at the Calvary Bible Church with Pastor John Burnett officiating. Burial will follow at Mount Ever-Rest North. Contributions in memory of Mike may be made to Calvary Bible Church missions, Otsego Baptist Church or Youth for Christ. His life verse was Galatians 2:20 “I have been crucified with Christ and I no longer live, but Christ lives in me. The life I live in the body, I live by faith in the Son of God, who loved me and gave himself for me.” (NIV). Thank you, Dad, for inspiring us to live our lives more beautifully and for giving us a taste of heaven on earth. 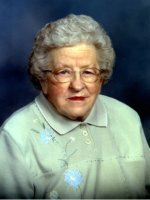 Ruth L. Fast of Otsego, Michigan passed away Saturday, October 27, 2012 in Alamo. Ruth was born in Watson Township to William and Blanche (Wilson) Deike. Ruth was a long distance operator for Michigan Bell Telephone from 1944-1948 and was a very active member of the Otsego United Methodist Church. She also enjoyed gardening, baking, reading and writing personal views of history for the local newspapers. On November 23, 1946 in Kalamazoo she married Joseph Fast who preceded her in death in 1990. Surviving are her children, Kathy (Ken) Noble of Kalamazoo and Larry (Colleen) Fast of Allegan; 4 grandchildren, Courtney (Reuben) West of Marshall, Jaymie Noble of Whitefish, MT, Ray Fast of Chicago and Sarah Fast of Grand Rapids, 1 great grandson, Charlie West; 8 nieces, 13 nephews and many great and great-great grandnieces and nephews. She was preceded in death by her brothers and sisters-in-law, William (Pauline) Deike and Gordon (Lillian) Deike; sister and brother-in-law, Winifred (Lavern) Smith; all brothers-in-law and sisters-in-law of her husband; a nephew and two nieces. She was so very grateful to have been able to stay in her own home until June 2012 due to the wonderful care she received from her Home Helpers, Lori, Dawn and Karin. She was always appreciative of the visits from her family, Pastors and friends. Friends may meet with Ruth’s family Wednesday from 10 to 11 A.M. at the Otsego United Methodist Church where services will be held at 11 A.M., Pastor Joe Shaler officiating. Burial will follow at Mt. Home Cemetery, Otsego. In lieu of flowers donations in memory of Ruth may be made to the Otsego United Methodist Women. 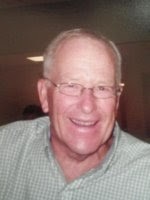 George C. “Cliff” Shipley II of Otsego, Michigan passed away Saturday, October 27, 2012 in Otsego. Cliff was born October 30, 1935 in Watson Township to George and Ethel (Lukins) Shipley. 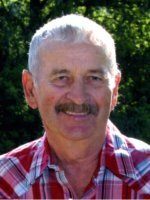 Cliff was a lifetime farmer and horseman; raising and breeding registered Percherons and was a member of the Allegan Draft Horse and Mule Association. Cliff’s main loves were his family and his opportunity to live and farm his family farm. He attended At His Master’s Feet Church in Otsego. On July 26, 1958 he married Norma McLaughlin who survives. Also surviving are his children, George Clifford Shipley III, Timothy Jay Shipley, Kimberly Ann Shipley and Michele Marie Shipley; 3 granddaughters, Danielle Marie Koperski, Ashley Ann Koperski and Jaiden Isabella Shipley-Snider; and sisters, Esther Newkirk, Margaret Guider and Mary McLaughlin. Preceding him in death were his parents; sisters, Helen Sage and Thelma Nunley and a brother Robert Shipley. In accordance with his wishes, cremation has taken place. Friends may meet with his family on Saturday, November 3, 2012 from 10 A.M. – 12 Noon at Winkel Funeral Home, Otsego where a Memorial Service will be held at Noon with Pastor Ray Brown officiating. Private burial of ashes will take place at a later date at Hicks Cemetery. Contributions in memory of George may be made to Hospice Care of S.W. Michigan or the West Michigan Cancer Center. 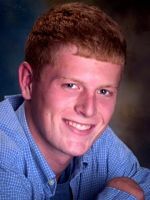 Luke Anthony Vincent of Plainwell, Michigan, passed away Sunday, October 21, 2012, in Kalamazoo. Luke was born June 10, 1988 in Grand Rapids to Dennis and Doris (Schoen) Vincent. In 2006 he graduated from Plainwell High School and then attended KVCC . He was employed with Finishmaster, both driving and in the shop. In his leisure time he enjoyed playing guitar, loved playing sports and loved animals, especially his cat Rocky. Luke loved his family. Surviving are his parents, Dennis and Doris Vincent of Plainwell; his siblings, Amanda Vincent, Jordan Vincent and Seth Vincent, all of Plainwell; grandfather, Herbert Vincent of Grand Rapids; grandmother, Deloris Schoen of Ada; many aunts, uncles and cousins; and his girlfriend, Christiana. He was preceded in death by grandparents, Katherine Vincent, June and Al Schoen, and Jim Schoen. Friends may meet with Luke’s family from 7 to 9 P.M. Thursday, October 25, 2012 at the Winkel Funeral Home, Otsego. Funeral services will be held at 11:00 A.M. Friday at the Otsego United Methodist Church, Pastor David Alderman officiating. Cremation will follow. Contributions in memory of Luke may be made to a scholarship at Plainwell High School in Luke’s name. Russell D. Shaff of Kalamazoo, Michigan passed away Monday, October 22, 2012 in Kalamazoo. Russell was born September 27, 1931 in Kalamazoo the son of Daniel and Marian (Russell) Shaff. He graduated from Otsego High School in 1951. On June 5, 1954, in Kalamazoo, he married Jeanette Stephenson who survives. Russell had been a self-employed builder for 31 years. Also surviving are 2 daughters, Robin (Fred) Smith of Plainwell and Deborah (Troy) Smith of Glenmoore, PA; 5 grandchildren, Ericjohn (Michelle) Usselman, Lisa Usselman, Jessica Sciangola, Stephenie Sciangola and Courtney Smith; 1 great-granddaughter, Hanna Usselman. Russell and Jeanette enjoyed wintering in Winter Haven, Florida since 1992 and Russell enjoyed playing the accordion for the enjoyment of others. Memorial contributions may be made to the West Michigan Cancer Center. Evelyn (Baker)Fish of Wayland, Michigan (Formerly of Kentwood) passed away on Saturday, October 20, 2012. She was preceded in death by her husband, Enoch D. Fish on June 7, 1995. 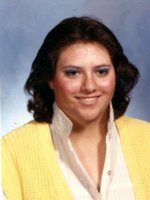 She is survived by her children, Debra (Steven) Prenatt and Tracey (Michael) Klinkner; her grandchildren, Shannon (Anthony) Morris, Melissa (Vern) Hall, Michael (April Whip) Klinkner, Shawn (Mindi) Prenatt, Mallory (Greg) Taber, Madison Klinkner and Cody Prenatt; great grandchildren, Destany, Carter, Heaven, Aleigha, Sidney, Quentin, Danica, Peyton and Dalton; her sister, Dona Berkey and Janice VandeSchraaf and a brother, Phillip (Betty) Baker. A Celebration of her life will be held at Watson Bible Church, 1626 – 116th Avenue (M-222), Otsego, MI at 11 A.M. on Thursday, October 25, 2012. Family will greet family and friends one hour prior to service at the church. Contributions in her memory may be made to the American Cancer Society or a charity of your choice. Doris Ann (Doorlag) Zanardi of Kalamazoo (formerly of Otsego) passed away Thursday, October 18, 2012 at her home. Mrs. Zanardi was born August 1, 1933 in Kalamazoo to Harm and Rena (Johnson) Doorlag. On January 14, 1950 in Kalamazoo she married Robert ‘Bob’ Zanardi Sr., who survives. Also surviving are five children, Robert (Donna) Zanardi Jr., Laraine Ann (Steve) Alexander, Louis (Treasa) Zanardi, Terri (Ken) Ledbetter and Vicki (Doug Ranes) Bayard; 13 grandchildren; 15 great-grandchildren; 3 sisters, Norma, Marsha and Betty; 3 brothers, Herman, Albert and Tom; hundreds of nieces and nephews. She was preceded in death by 2 sisters and 2 brothers, Marian, Jeannie, Richard and Lloyd. Friends may meet with Doris’s family beginning at 10 A.M. Monday, October 22, 2012, at the Winkel Funeral Home, Otsego, where funeral services will be held at 11:00 A.M., Pastor Jim Dyke officiating. Cremation will follow. Contributions in memory of Doris may be made to the Elks Major Project or St. Andrew Community Church. Duane S. Kuiper of Otsego, Michigan passed away Wednesday, October 17, 2012 in Kalamazoo. Duane was born February 3, 1934 in Ferrysburg, Michigan to John and Grace (Ruiter) Kuiper. In 1951 he graduated from West Michigan Christian High School and in 1960 he graduated from Western Michigan University. He served in the Air Force during the Korean War. Duane and Pam together with Eugene Zelmanski were the owners and operators of the Lighthouse Restaurant in Otsego from 1975 to 1990. He initiated the concept, helped design and organized the founding of Prairiewood Golf Course. He enjoyed playing ping pong with grandson Tyler, fishing and golfing. On June 30, 1972 in Otsego he married Pamela S. Hutchinson, who survives. Also surviving are 7 children, Cindy (Andrew) Parenteau of Elk, Washington, Mark (Peg) Kuiper of Cooper, Robert (Trish) Kuiper of Vicksburg, Karen Kuiper of Otsego, Matt Kuiper of Vicksburg, Michael (Angelique) Kuiper of Otsego, Doug (Katie) Kuiper of Troy; 14 grandchildren; 7 great grandchildren; 1 sister Nancy VandenBosch of Spring Lake. He was preceded in death by a brother Jack Kuiper and 2 sisters Sally Swartz and Doris Wezeman. In accordance with his wishes, cremation has taken place. A memorial service will be held Tuesday, October 23, 2012, at 11:00 am at the First Congregational Church of Otsego, Pastor Jason Zimmer and Pastor Don Boss officiating. Private burial will be at Mountain Home Cemetery. Contributions in memory of Duane may be made to Rose Arbor Hospice or North Point Church or First Congregational Church. 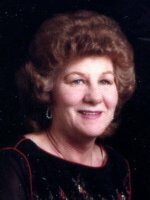 Dawn L. Hanson of Otsego, Michigan passed away on Wednesday, October 10, 2012. Dawn was born September 9, 1972 in Kalamazoo, Michigan to Francis and Martha (Wiggins) Redson. She had worked as a home health aide for an adult foster care company. Dawn was active with the 1st Baptist Church of Plainwell, she enjoyed reading and doing word searches. On September 9, 2011 she was married to Chad Hanson in Allegan, Michigan. Survivors include her husband, Chad; daughter, Heather (Nick) Everitt of Plainwell; granddaughters, Jazmyne and Abygale Everitt, both of Plainwell; mother, Martha Lou Redson; step-father, Tim Holly, both of Otsego; sisters, Crystal Finney, Ray Ann Elmer and Bea Jones; and her brothers, Daryl Schulz and Terry Redson. Dawn was preceded in death by her infant son, Justin in 2004; father, Francis Redson in 1986; and her grandmother Beula Wiggins. Friends may meet with Dawn’s family on Wednesday, October 17, 2012 from 6 to 8 P.M. at the Winkel Funeral Home, Otsego. Cremation will follow visitation and a memorial service will be held on Thursday, October 18, 2012 at the 1st Baptist Church of Plainwell at 11:00AM. Contributions in memory of Dawn may be left to her family to help with expenses. 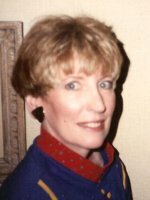 Barbara Anne (Ball) Ritchie, 72, wife of Clarence O. “Lars” Ritchie who would be celebrating their fourteen years of marriage this November 28th, of Zionsville, PA died Saturday, October 6, 2012 at Lehigh Valley Hospital, Allentown, PA.
Born in Kalamazoo, Michigan, she was a daughter of the late Wilber Ronald Malcolm Ball and the late Anne A. (Sewell) Ball. Barbara was graduate of Western Michigan University. She had many different jobs in her lifetime all having to do with helping others and being faithful to God. She worked as an Occupational Therapist, O.R. Technician, Graphic Designer in Sales and Marketing at Gospel Films and Advanced Litho and after retirement worked as a Health Care Advocate for over five years. She was a member of Salem Bible Church, Macungie, PA, Christian’s Women’s Club, The Pocket Testament League, Parents and Teachers Association, West Michigan, Spring Lake Wesleyan Church, Michigan, Calvary Baptist Church of Grand Rapids, Michigan. She will be remembered most of all at a loving Mother, Wife, Grandmother, Great Grandmother, Friend, and for her loving and compassionate care for others. Surviving along with her Husband are two Sons, Richard J. Van Dyke and wife, Raquel of F.E. Warren Air Force Base, Cheyenne, Wyoming, and Jeffrey S. Van Dyke of Wilmot, Wisconsin; six Grandchildren, Analiese, Rachell, Roger, Rosalinda, Gabriel Van Dyke and Isabel; a Great Granddaughter, Naomi Aizprua; a Sister, Shirley Fender and husband, Robert of San Diego, CA, two brothers, Ronald Ball of Kalamazoo, MI and Jack and wife, Sally Sewell of Kalamazoo, MI. Along with her parents she is predeceased by a husband, Roger C. Van Dyke who died in 2008. A funeral service will be held 4:00 p.m. on Thursday, October 11, 2012 at Salem Bible Church, 8031 Salem Bible Church Road, Macungie, PA 18062 with Rev. Richard Goodman officiating. Burial will be in Mount Ever-Rest Memorial Park, Kalamazoo, MI. In lieu of flowers, memorials may be made to World Vision Ministries, P.O. Box 9716, Federal Way, WA 98063-9713, 1-888-511-6443, www.worldvision.org or Allentown Rescue Mission, 355 Hamilton Street, Allentown, PA 18101, 610-740-5500 or www.allentownrescuemission.org.